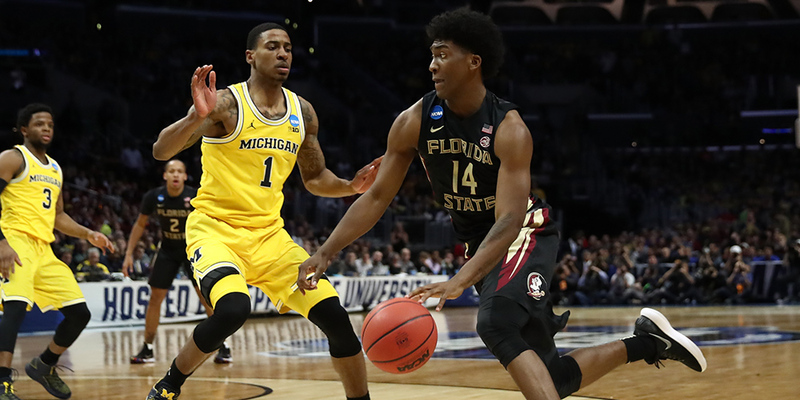 The Michigan Wolverines' run to the Final Four has, surprisingly, been on the back of one of the nation's best defenses. Contributor K.C. Beard explores what drove their improvement, and the lessons it teaches about coaching. This article is a collaboration between Ben and K.C. Beard. K.C. is the Men’s Basketball Video Coordinator at the University of Houston. He has a wide range of experience in basketball working in the NBA as a Video Intern for three seasons (two with the Trail Blazers and one with the Utah Jazz), five seasons as a Video Coordinator at the NCAA D1 level (one at SMU and four at Houston), two seasons as a Graduate Assistant Coach at the D2 level (West Texas A&M), one season as an Assistant Coach at the D3 level (Pacific University located in Oregon), and four summers as the Video Coordinator for the Canadian Men’s National Team. If you’d like to reach out to K.C. directly, you can reach him at kcbeard@central.uh.edu. You’d be forgiven if you thought the University of Michigan’s Final Four run was yet another example of Coach John Beilein’s offensive genius: another sweet shooting, low turnover offense carrying a decent but underwhelming defense. That’s generally been the story through Beilein’s career. In his previous 15 seasons as head coach, Beilein’s teams were better on offense than defense 12 times (according to Ken Pomeroy’s adjusted efficiency rankings), and his offenses ranked in the top 50 nationally 10 times, compared to just twice on defense. Beilein’s last Final Four team, for example, was all about offense: they were the nation’s top ranked offensive team while sporting the 37th ranked defense. But something is different in Ann Arbor this time around. Michigan ranks 30th on offense and 4th on defense. They have improved dramatically on the defensive end, and that defense has been the key to their surprising tournament run.